As we’ve mentioned in other posts, New Orleans plays a heavy influence in some of our cooking. Particularly given creole and cajun food’s immediate influences from French cuisine, our culinary “education” borrows a lot from some basic techniques and ideas. I can remember Dad’s blackened fish from childhood, and remember it being a revelation because I thought I didn’t like fish. We really love Thomas Keller’s pan-roasted fish technique, and I thought that I could meld that with some spices to get a somewhat blackened/somewhat pan-roasted result. It worked out pretty well! 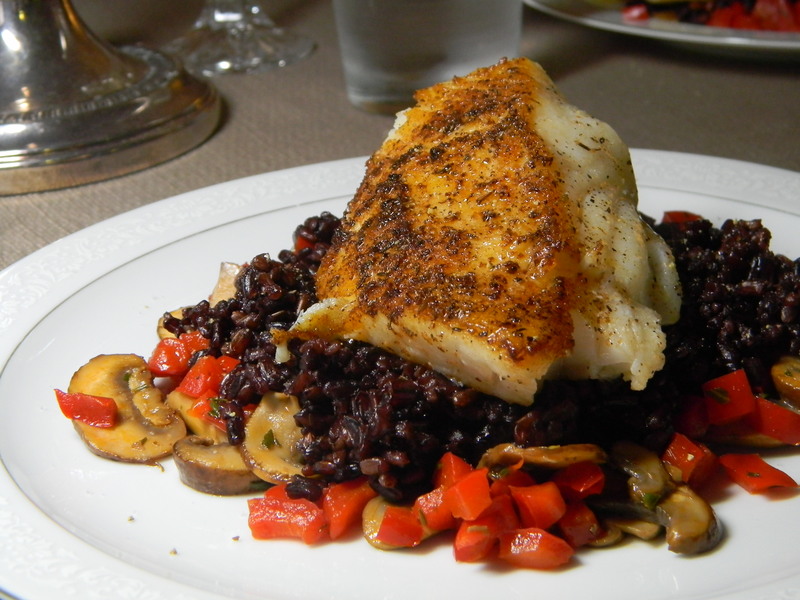 You could definitely vary the spices for a more “blackened” fish, and you can, of course, change the accompaniments. Hopefully this recipe can spark some ideas for your own creations; and if you follow it step-by-step, let us know ideas for making this even better!